Bangkok is a capital city of Thailand, one of the most famous countries in South-East Asia. This country is full of charms due its diversity in cultures as well as tourism potentials. If you are planning to visit this country or specifically the capital city, you need travel tips to Bangkok beforehand. When you step in Thailand, the first place you reach is Bangkok, the main city and the highlight of Thailand’s charm. Thus, you might as well try to explore Bangkok first before running down all the districts over the country. Bangkok is accessible to almost all type of transport. If you travel by plane, you will arrive at Suvarnabhumi Airport. If you want to go directly to the town, just take Express train since it is the fastest way to reach there. Taxi is also available to help you reach your destination. However, it is recommended that you avoid rush hour because then the traffic is quite unbearable. Bangkok is a home to large population or about 10 million souls are occupied the city. However, you don’t have to worry because you will have some fun exploring the town. There are many attractions you can enjoy throughout your trip. Recommended places to visit are Chinatown located in the south, Dusit located in the north side, or Chao Praya River located on the east. Pick your own destination by the available transport. Next travel tips to Bangkok is to not miss to explore the tow by taking traditional transport called tuk-tuks. It is a motorized three-wheelers perfect for slow travelling. However, you will need to negotiate the fare so you pay for reasonable price. 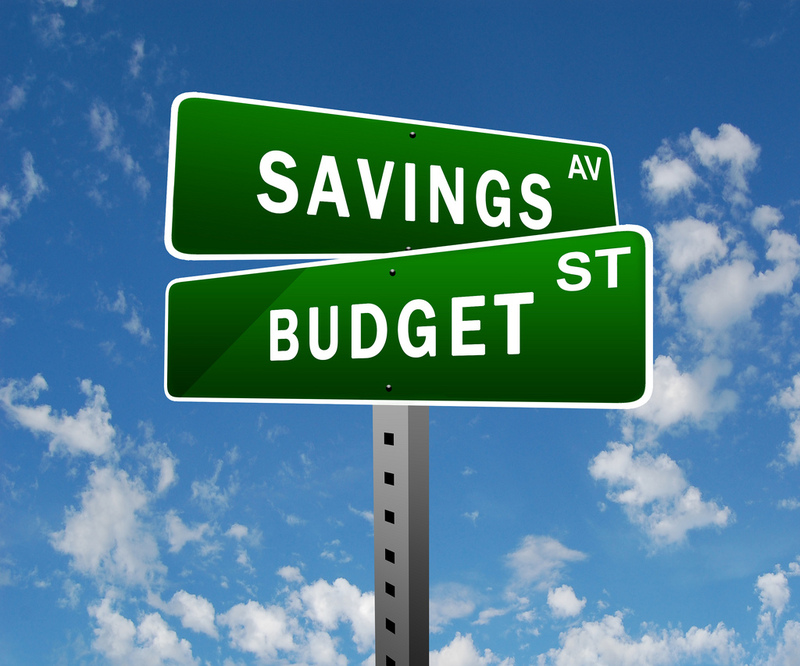 Use your strategy to get the best price even though you are a total tourist. However, you can also take other transports such as SkyTrain or MRT for faster journey. As for the accommodation, you have many options to choose. You can stay at four stars hotel or humble hotel. Just pick the one that suit your budget but still provides you the best room with great facility and services. There are many things you can do during your trip in Bangkok. You can take a view of Bangkok’s skyscrapers from Buddhist temple. Besides, you will also get other views from this spot such as canals, and other temples. It is recommended to visit this spot in the morning. It is incomplete trip if you visit Bangkok without having Tom Yum as your highlight meal. This is certainly one of the most original foods of Thailand you shouldn’t miss. Have this yummy food for lunch to indulge your appetite. 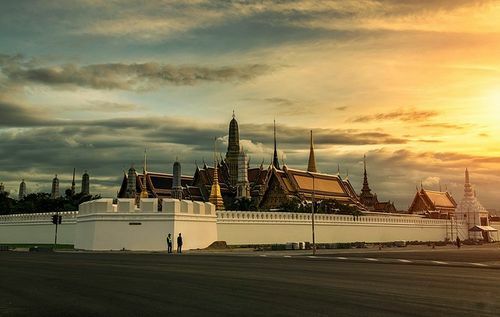 As a city full of cultural values, you should visit the famous National Museum which exhibits Thai antiques, archaeological finds, as well as religious sculptures. There are also oil paintings by the King that will make you awe them instantly. Travel tips to Bangkok certainly will help you find perfect aim to experience. Everyone has their own standards especially about the ideal criteria of something, which in this article is for the best honeymoon villas to be stayed in Bali. However, as a personal preference, I myself do have the criteria for that too. I don’t need to ask you about: are you sure you want to honeymoon in Bali, right? So my first advice is do not carelessly in choosing the villas. Keep in mind that honeymoon can be something that will not be forgotten for life, even it is as the irreplaceable moments. Therefore, it will be a regret if one thing that will not be forgotten have negative or unwanted thing in it. For those of you who are not yet experienced, especially if this is your first time in Bali, you have to read my own reviews about the current topic. So that, here are some of the criteria for your best honeymoon Bali villas that will make both of your moments feels like in heaven. The first thing that certainly needs to be considered when choosing a villa for honeymoon is the view it has. This applies whether in Bali or not, but wherever you want to enjoy a precious moment. Just imagine, it would be an unpleasant thing to see an unattractive view outside the window or even on each side of the villa while you are in honeymoon moment. As a tip, it is the right decision if you choose the luxury honeymoon villa with the scene of the beach or mountains with lots of trees. This is the main difference when choosing a villa for a honeymoon with a villa for a regular vacation. You are highly recommended that the villa you choose has a seductive atmosphere in it. For those of you who don’t understand, it is an atmosphere where the couple feels uplifted. Maybe you are also understand if the honeymoon itself will not be interesting if there is no exciting atmosphere in it. I would like to talk about this for more, but I think that most of the readers have known the topic more than what I could imagine. In addition to the above 2 things, it is also very important to note when choosing a villa for honeymoon. You have came so far to Bali and if there is something that can disturbs your privacy, I hope it won’t be the bad news for both of you. Perhaps, there are some of the criteria that a villa or its rooms with high privacy can have. But most of all, don’t have CCTV in the main bedroom is a must. Don’t get me wrong, there are some villas that store CCTV in the rooms to avoid crime. Another thing to be considered as well is the design of the villa you are going to reserves. Does it quite open for other people can see through the building or not. 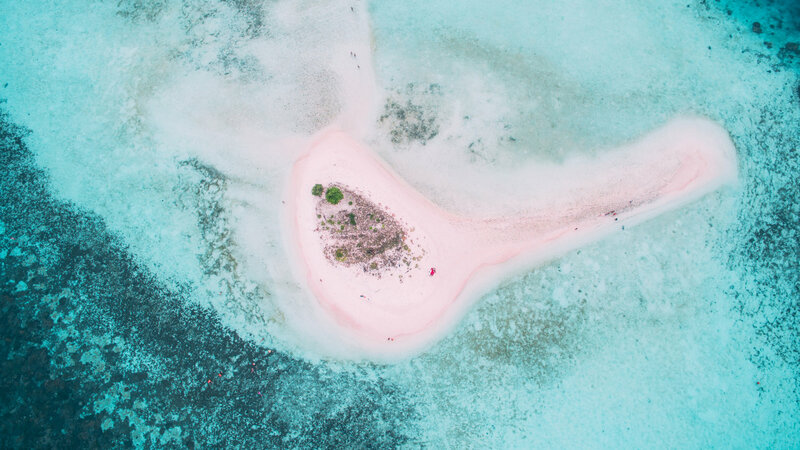 You have also needs to be warned that usually the cheap villa prices is always the first choice, but actually it should not be an option if you have more budget. This is your honeymoon in Bali and the listed prices are never wrong. The cheaper the price, the less of the facilities you get. In case you are in love with the beach and loves to gathering around at the crowded spots or area, you can choose to find your best honeymoon villas Bali at Seminyak and Kuta. This is not only because many of the villas over there are well designed so you will not have to deal with the sound or the voice pollution, but also the local people along with the tourists are friendly. It could be a private pool, spacious bathroom with bigger bathtub, and many more. It also could the luxury interior design since you may will spend many of your times inside rather than at outside when you are at the villa. With a great and perfect design, it could also be support the seductive atmosphere i have mentioned above. In Bali, it is actually easy to find the villas with the honeymoon package. So that, you will be treated as the new married couple and can experience all of the facilities and also the services that only provided for that special moment. For example, you could be provided with the romantic room setup, candle light dinner with acoustic music performance, and many more. Those are my own ideal criteria for the best honeymoon bali villas. You may can add one or two of them into your own criteria if you want. Hope it will give you new insights about this current topic. Thank you for being here. 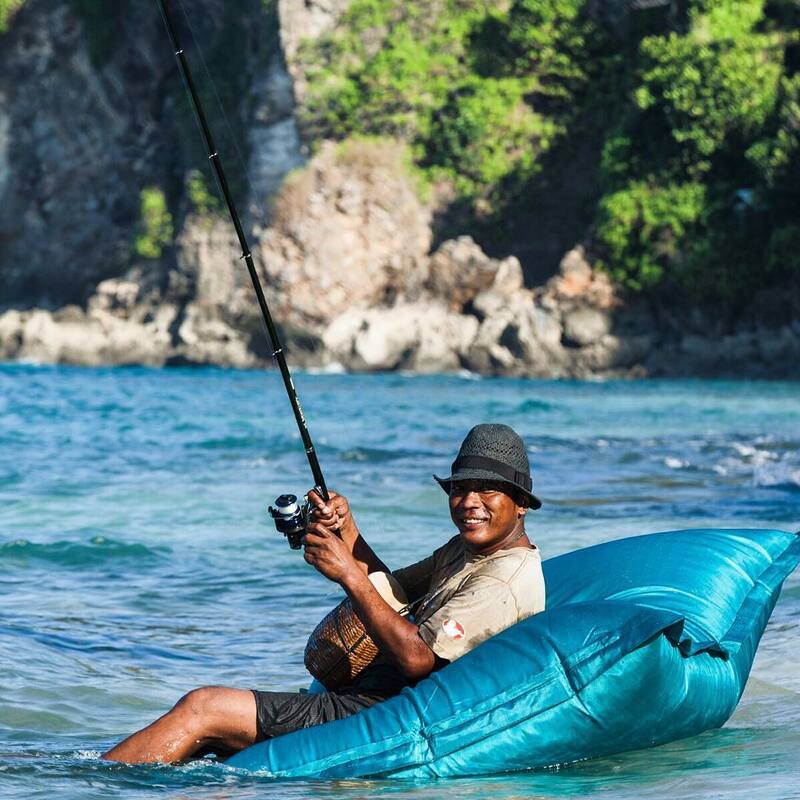 Bali Belly is a common mishaps among travelers in Bali, particularly for the first timer. The sudden change of diet and lifestyle often cause upset stomach which often ends into frequent visit to toilets a.k.a diarrhea. With lots of delicious food and free drinks everywhere, it’s hard to expect when the Bali Belly will come and which food will be the deal breaker. Sometimes it’s the innocent Nasi Goring that you have trust so much. You know you got Bali Belly when your stomach feel strangely full and bloated, and it seems like you just gain 10 pounds. You might initially feel uncomfortable to walk and move for the next two to five hours from your last meal. Then, your stomach starts to feel funny and you need to go to toilets every 5 minutes. Just when you thought it’s finished, your stomach began to cramps like it’s never been before. The Bali Belly can make you uncomfortable for a day and may include nausea, fever, and loss of energy. While Bali Belly can be cured in a matter of day, it’s best to avoid it instead of wasting your precious holiday time dealing with upset stomach. Follow these simple tips to avoid Bali Belly during your tropical holiday. You must know that tap water in Bali is not drinkable. It should be boiled for at least three minutes to kill all the bugs and bacterias. Take only bottled, carbonated, or filtered water to drink, For extra caution, you can opt for bottled water to brush your teeth and avoid the water shower get into your mouth. Your body is not used to the new bacteria as the locals do. 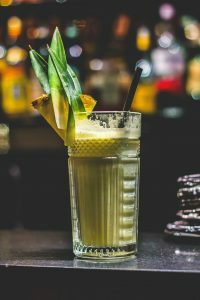 Bali’s hot and tropical weather often tempt us for a glass of refreshing ice drinks. Many times overlooked, ice cubes has many times become the culprit of Bali Belly cases. Always ask if they used regular ice cubes with hole in the water. The latter is produced in factories with safe filtered water and made under clear regulation, while the regular ice cubes often made with tap water. Same thing apply for juices and cocktails. Speaking about cocktails, it’s best to avoid free drinks if you cannot trust the provider. Some spas, restaurants, resorts, and hotels often gives free welcoming cocktails to the guest, and it’s often hard to resist. Who doesn’t love free cocktails anyway? Pay attention, however, that many times the free cocktails are using locals arak instead of real vodka, and it can cause serious food poisoning. Bali has complicated relationship with arak, as it’s not clearly regulated nor standarized, which make it a lot cheaper than any other alcoholic drinks—and the most economic option to provide the free drinks. For some meat lovers, rare meat is the best. When you come to developing country, however, it’s best to opt for safer option. Medium cooked meat is your best choice if you don’t want your meat to be fully done. Oh, the street food. Some of us even come to Southeast Asia for the oh-so-delicious street food, but it turned out to be the worst diarrhoea culprit for many travellers. It’s really saddening as Bali’s best pork satay are often the one sold by the street vendors (the restaurant pork satay doesn’t really taste as authentic). Street food can be safe, but it can be tricky to choose one. First thing first, never pick up the one close the big road—pollution, smog, and dirt can taint your food. Choose popular street vendors as you have bigger chance to have food fresh from the fire—not the preheated one. Lastly, always ask the vendors to completely dry the plates and cups before serve it to you—or make sure they use a clean, disposable one! Have a good time without Bali Belly! Festival is always a great way to learn about the culture. Having cultural travel is fun as well as valuable because you get to see the world deeper and richer. There are many best festivals to attend during your cultural trip to help you experience more about the local. Festival is the way the local celebrate what they value the most of their culture. Hence, you shouldn’t miss great festival when you travel around the world. By attending festival, you will meet new people both local and international visitors. 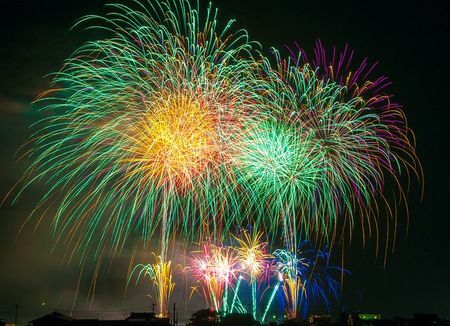 However, they have same purpose, which is to enjoy and celebrate the day. Holi Moo Festival in India is one of the most famous. This festival is usually held in March and opens for any participants both local and international. This is also known as Festival of Colors. It is an event to celebrate the start of the spring harvest as well as tradition to fight against the evil. Throwing each other colored powder and water in the street is what they do in this festival. Don’t be afraid of getting dirty because it is fun. If you don’t want to spend your next winter by hollering in your blanket, you can go to the world’s biggest snow sculpture festival in northern China. This festival is held throughout January so you have time to prepare for your travel there. You will enjoy the best moment of winter wonderland in this festival. If you want to experience romantic vibe, you must attend White Night Festival held in Russia. This is where you will enjoy music and arts such as ballet performance, live opera, fireworks, etc. This festival is held in St. Pittsburgh which is conducted from May to July. Enjoy your time from day to night in the festival and don’t hesitate to interact with others. Rio De Jeneiro, Brazil is a home to the infamous Carnival you shouldn’t miss. In fact, this festival is considered as the world’s best. The visitors come from different countries which make the day merrier. You will enjoy people parade in creative costumes in the main streets. If you are food lovers, you might as well attend one of the world’s biggest food fight festival in Valencia, Spain. The festival is called La Tomatina because this is when you throw each other tomatoes. This festival is fun but remember to follow the rule so you won’t hurt others. Enjoy your time at art and music festival in Manchester, Tennessee. This is one of the best festivals to attend where you can enjoy music performance of different genres. In addition, you will also enjoy arts events as well as foods stalls and arcades. There are many of the luxury villas in Bali, especially located in Seminyak area or village. The popularity of the Bali’s tourism sector is highly increasing until today. Even the eruption of the Mount Agung is not stopping all the travellers in the world to enjoy what all the destinations in here they could experienced; a thirst of an adventure. And to accommodate where all the tourists in here, one of the type of living in luxury is by rent a villa. So that, I’d like to introduce you about the Bali villa deals in Seminyak. Take it easy, this Bali villa deals Seminyak won’t break your bank or saving. Even, this may will be one of the best villa you have ever stayed in. And I think it will be the best way for experiencing Bali full of the luxury. I am talking about how affordable the villas are and will tell you about the benefits of their location for you. Now, the first of the deal is getting your own honeymoon package. 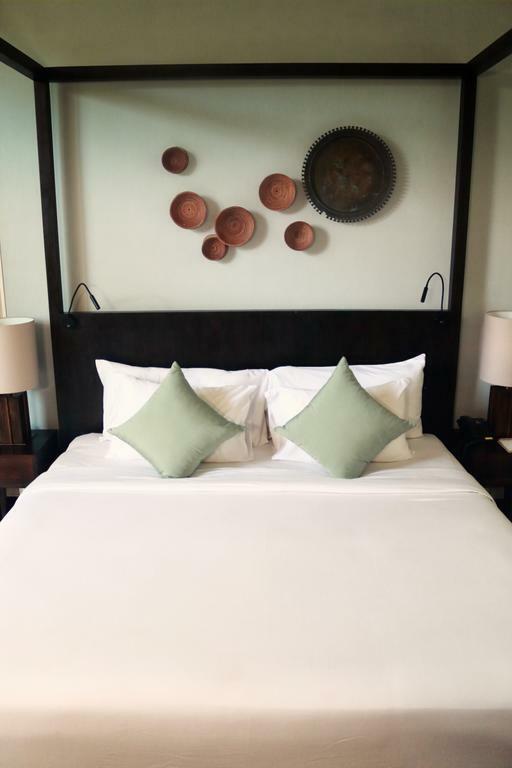 It will comes with the services such as welcoming you with the sparkling drink, a candle light dinner, romantic room set up, a special spa treatment and many more things you could get. So bring your lover to be here someday or simply just celebrating your wedding anniversary. If you are asking me about which villa is providing you for such things, I would love to tell you that I was provided by the Hu’u Villas, and that also what I will keep on talking about, especially in terms of the Bali villa deals Seminyak. If you have thing like the “gang of the girls” in your friendship, you will love how the villas are prepared for the related package which is the “Girl Getaway.” It is simply for gathering the ladies for some days and nights to experience the girls debauchery. And you will not only going crazy in that never ending party, but also learning in the pool dancing class, enjoy the spa time, manicure and pedicure treatment and more of what you could expected. In case both of the Bali villa deals in Seminyak above won’t be in your list, then the Penthouse Exclusive package will comes at the right moment. If you have ever been wondering how the professional chefs are working, then the Hu’u Mixologist and the Executive Chef will be specially guide you in the private kitchen. And yes, the butler service is also available and will be get more better. There are many things to say in a very short times, so I will just skip into the benefit parts of the villas location which is it also why this Bali villa deals Seminyak should be considered as one of your next place to stay. The location is only about 2 minutes to the beach by foot, doesn’t it sounds great for your escape? And there is the important temple at the beach so you may will be seen some of the rituals related to the Hinduism. In case you are a fanatic shopper, there are many of the “heavens” for that and the galore will be really close to where you are staying. Overall, Seminyak is where any of the travellers wants to spend their holiday, especially in finding the best accommodation. There are many places where you can release your stress and have some fun with ease. 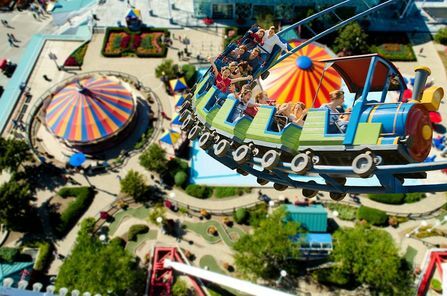 One of the best places you can visit is amusement park or theme park. This is fun place which is mostly adored especially by youngster. You might as well find out tips for visiting theme park before going. As you may have known that theme park is everyone’s favorite place to go for a break. One of the most not-so-exciting moments is when you have to get in line to buy the ticket for your favorite rides. Thus, here are some tips you can try when visiting your favorite theme park so that you can truly enjoy your time. If it’s possible, you’d better buy your tickets via online. This way, you don’t have to go through a long line just for buying ticket. Through online ticketing, you may find discount or special offers which are not mentioned when you buy the ticket on the spot. If there is no online ticketing, it is recommended that you come early to the theme park so you will be the front line. If you visit the theme park in group, buy the tickets collectively for more efficient time. Next tips for visiting theme park is to avoid visiting theme park during peak season. Lots of families tend to choose theme park as their destination during their break. This is the time when the people are packed and the chance to truly enjoy every ride in the park is reduced. Choose off-season so you can try many rides without waiting in line. To be able to enjoy the entire rides, it is recommended to do some research regarding to the type of rides, level of extremeness, as well as location of each ride. You’d better explore to the back area first and find if there is ride you are interested in. You can leave the rides in the main entrance for later when you have explored the deeper area of the theme park. You need to find out if the theme park you are going to visit allows you to bring foods from outside. If it’s allowed, you can bring your meals from home to save money. Besides, foods and drinks sold inside the theme park are quite pricey. If you want to be able to ride everything, make sure you come as early as possible. However, it is also important to set your own pace in enjoying the area. You don’t have to force yourself to try everything in one go. Try the ride that is the most interesting for you first. Next tips for visiting theme park is to make sure that you stay hydrated during your visit. Sometime you forget to take care of your body due to the thrill and excitement. You don’t want to faint in the middle of your exploration. Thus, make sure that you take a rest and have proper meals during your visit to theme park. Comments Off on Save The Last Dragon At Komodo Island! 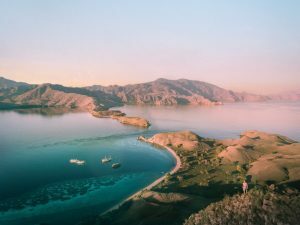 Komodo Island is where the last dragons are living. Although they could not breathe fire, they still as dangerous as their fellow myths. It is because of what they have became, as the carnivore and also are capable to smell the blood even for miles. They will grow up to 3 meters or more and could be run for about more than 20 km per hour for catching prey. The dragons are now reaches up to thousands in number for only the living biggest lizards in the Komodo Island, not to mention any other islands around. That’s why that the island is called as the Komodo dragon Island. 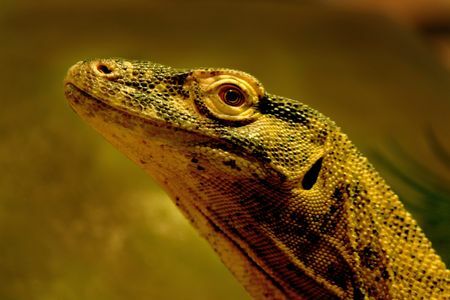 Many of the scientists are believing that the Komodo dragons as the last survivors, about millions of years ago, roamed in the mainland of Australia. With their abilities and nature selection or maybe by the human intervention, they had been made it to arrived at the island where they have becoming one of the rare attraction in their relation with the local and national tourism development which is monitoring the Komodo dragons right in their original habitat. The dragons have been moved far from Australia and found the harsh environment, yet, they still remain endangered by the global warming, wastes up to the illegal fishing that had turned the seawater into dirt. Statistically, there are only about 350 of the female dragons and we are keep on counting down of their numbers. After being survived for some decades from the human’s pursuit, seems like the dragons are just fine. But knowing that the Komodo females are slowly in laying their eggs and other dangers that might have an impact on reducing the population of dragons, then we should now have to thinking about how to save them. Actually, there is still “conflict” between the local people and the dragons themselves although just in a small amount. And the conflict should also be got it over sooner. 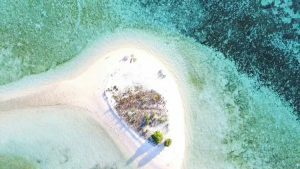 So saving the Komodo dragon island from the species extinction should be started with involving the collaboration between the local government or NGO with the local residents. There are some of the main issues that should be taken care as soon as possible. The first one is when the original habitat or the forest in the Komodo Island turned into the agricultural lands. Then some of the local people are light the fire to increase the grass reserves for their livestocks. Settlements are also becoming widespread as the population grows. So that, besides lost their original habitat, Komodo dragons need to compete with human as well for getting the pigs and deers as their foodstuffs. Therefore, one of the applicative and practical ways to save the dragons without having to disrupt the fulfillment of local people needs is through the conservation, measured by integrating sciences and various community-based programs. 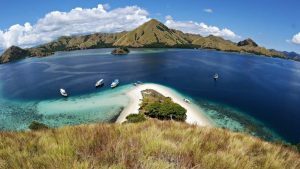 If all stakeholders participate well and local people are increasingly aware that they can get benefits from the presence of the dragons, especially through tourism, then saving the Komodo “dragon” Island can be done easily.